Yes it's been a little over a week since Descendants of the Sun ended but I'm still talking about it here because I wanted to give a little love to the GooWon couple otherwise known as Jin Goo and Kim Ji Won who played the secondary couple Seo Dae Young and Yoon Myung Joo. Their story didn't particularly move me since it was more of the typical K-drama romance and I found her character's actions a little creepy in the beginning. If she had been the male, it would have been considered stalker behaviour. Nonetheless I enjoyed both of their performances and rooted for them. Unlike Song Hye Kyo and Song Joong Ki, these two have been making a number of magazine appearances and even did one together for Grazia. I liked the way this photo seemed to echo their DOTS characters. Jin Goo also looked dapper in Cosmopolitan in this bunny emblazoned shirt. Someone should tell him that he should always wear his hair like Seo Dae Young because the man bangs he favors in real life are not that attractive. Good thing he has such a nice face. Kim Ji Won looks summer ready in her pictorial for InStyle. I love her hairstyle and hat. I'm also rounding up some other eye catching images here from other recent celebrity editorials just because I haven't done this in awhile and there are some really good ones. I can always tell who actually pays attention with these posts cause some people will just comment on the first photo thinking that it's a single image post or it's the same person featured throughout. 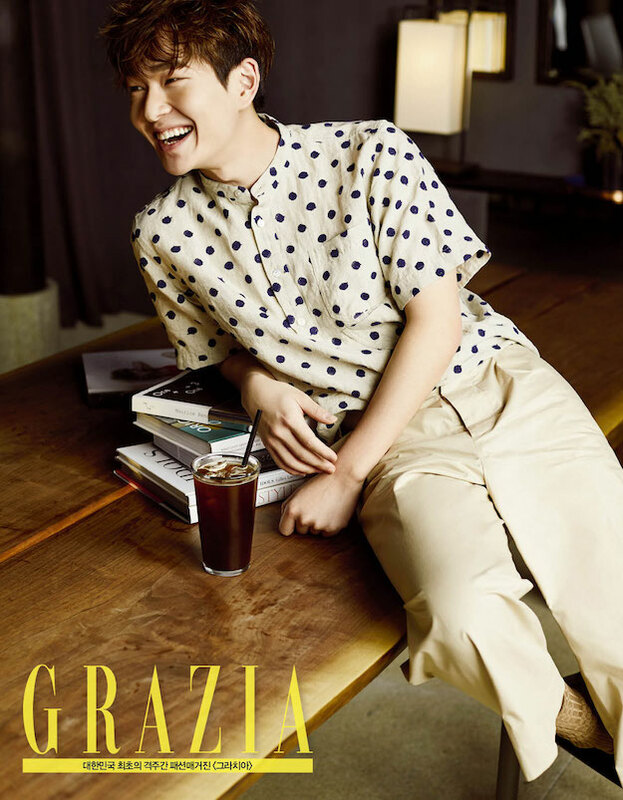 Onew from Shinee looks so relaxed in Grazia. He played doctor Lee Chi Hoon in DOTS and annoyed me a little a times. He didn't do too badly for his first time acting but he should really take crying lessons from Song Hye Kyo or Song Joong Ki. Yoo Ah In looks ready for a night out on the all dressed up in a tux. They really built up his cameo in DOTS but it was a bit of a let down. Still it was sweet that he made an appearance to support his good friends Song Hye Kyo and Song Joong Ki. Ah In's recent drama Six Flying Dragons also did really well. Han Hyo Joo always looks so pretty. Her new film Love Lies looks interesting and I enjoyed seeing Hyo Joo on 1N2D recently. It's refreshing when an actress is so down to earth in real life and doesn't expect preferential treatment instead of acting like they're some sort of special snowflake. Speaking of 1N2D, I'm so excited that Yoon Shi Yoon has recently been added as a new cast member replacing KIm Joo Hyuk who left at the end of last year. He was adorable as Enrique in The Flower Boy Next Door with Park Shin Hye. Shi Yoon is also making a return to dramas with Mirror of the Witch. It's been awhile since I've seen any Kim Hyun Joo's work. Loved her in Partners with Lee Dong Wook and she looks amazing in Grazia. Park Bo Gum is such a cutie whose star is totally on the rise following Reply 1988. Bo Gum next role will be that of a crown prince who romances a cross dressing Kim Yoo Jung in Moonlight Drawn By the Clouds which is based on a popular webtoon of the same name. Gong Hyo Jin is one of those actresses that I admire both for her acting as well as her quirky sense of personal style. 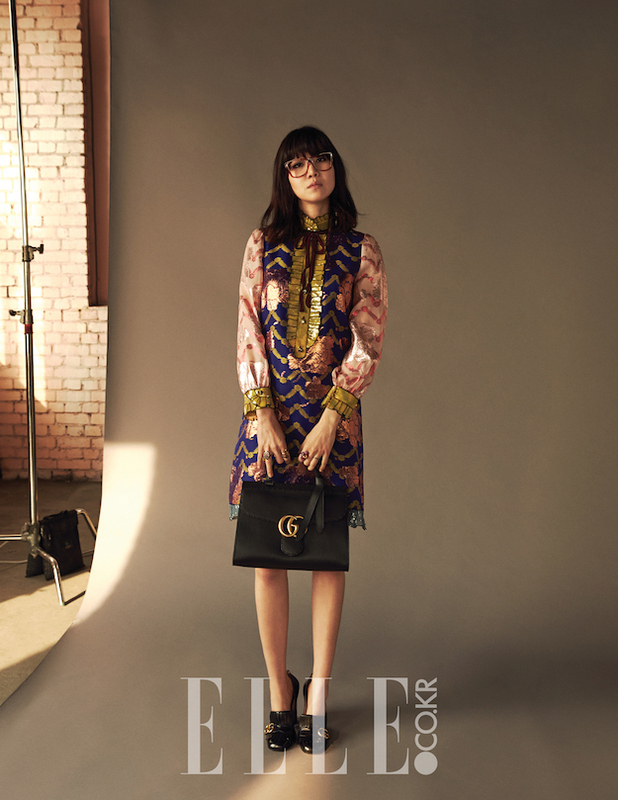 Love how she rocks out this Gucci Spring 2016 look in Elle. Daniel Henney goes sporty for Vogue. Daniel can currently be seen on the CBS show Criminal Minds: Beyond Borders. I haven't watched it but he seems to act a little better in English than in Korean. Park Shin Hye goes dark and sultry for W. Shin Hye will be portraying a neurosurgeon in the upcoming drama Doctors which I wish sounded more interesting to me. You could put a burlap sack on Kang Dong Won and he'd still look good but he's better dressed than that in Elle. This reminds me that I still want to watch him in A Violent Prosecutor. You are so right, these are definitely some eye catching images. I couldn't find this show yet but I will keep looking to see if I can view it. I also love their style. Great post as always Rowena. In love with this pics selection, so eye-catching!!!! Agree he looks better without bangs. I prefer Seo Dae Young's hairstyle. Happy Friday and weekend dear Rowena! Amazing editorial good looking couple always a wow factor here on Fridays. Have a lovely weekend. Aaaaaaah....so much eye candy! Hehe....but that's all good. I love love love that first pic of Jin Goo. So handsome, although not as handsome as our SJK:D I love the GooWon couple, and TBH, I really do like Kim Ji Won's doctor coz she's so brazen. I've seen up to Ep 14...two more episodes....eeeek! I saw that there's ep17 and 18, which got me excited, but then I saw the comment above. It's just a re-cap then? the part about him taking crying lessons cracked me up!!! I really enjoy your picture selection, even though I haven't heard of even one of them. Eye Candy indeed! 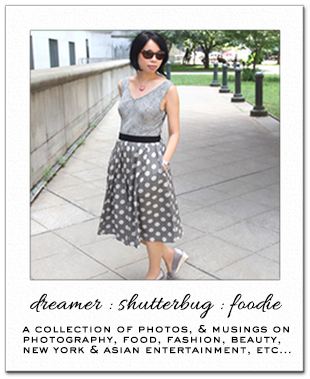 You always source such inspiring images, both with regard to styling and photography. The third photo is especially lovely - such a lovely sundress! These images are marvellous regarding editorials. Park Shin Hye is my favourite amongst the collection you have here. Now, you also reminded me, I have not seen Criminal Minds: Beyond Borders yet! Let me know what you think when you get the chance to watch it! Happy Weekend! OMG, Daniel Henney is a stud in Criminal Minds: Beyond Borders! He's like the Asian version of Derek Morgan in the original Criminal Minds. *swoon* I had no idea that he acted in Korean dramas too, I thought he was an American actor and only do Western shows. very pretty images thanks for a nice add to my Friday! Couldn't agree more with you, Rowena, Kang Dong Won.............looks at thse eyes.....Happy weekend, Rowena. Hmmm Kang Dong Won reminds me a bit of an ex boyfriend of mine. It is nice to see the 'other couple' and some other actors from this drama as well. All these editorials are visually stunning...I love them all...I mean the make up, the clothes, the photographs....exceptional editorials. I wish all of them were this good. These editorials are gorgeous! I absolutely love all the stylish fashion! They're both gorgeous! I love his hair! Any man that can pull off wearing a bunny shirt has to be handsome. LOL He looks good in everything!